Why is Ticketbooth The Perfect Ticketing Solution? Ticketbooth will automatically build a database of attendees that have attended your events to promote to in the future. Ticketbooth’s self service ticketing platform means we can keep booking fees down to a minimum for fans. Ticketbooth allows you to post your own events and make changes any time you want, giving you complete flexibility. Tickets can be scanned by downloading Scanfast for iPhone or android to have barcodes read by your phone camera. Ticketbooth’s low fees and promotional features make it easy to break sales records once you go on sale. Unlike other ticketing companies Ticketbooth allows you to keep selling right up to your event, ensuring last minute buyers aren’t put off by unavailable online tickets. Have a big Facebook fanbase? 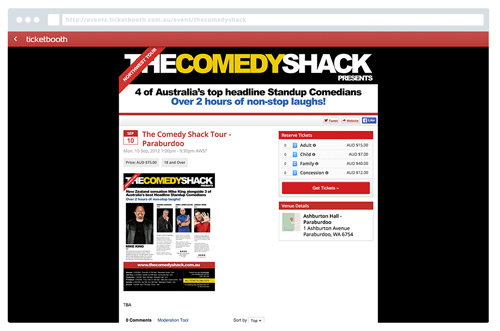 Embed the Ticketbooth ticketing widget into your Facebook page so fans can find tickets easily to your upcoming shows. Use box office at your venue! Use our iPad app to process sales at your venue and capture those all important email addresses and contact details so you can promote future shows. Ticketbooth’s scanning apps make getting patrons tickets scanned and through the doors simple! 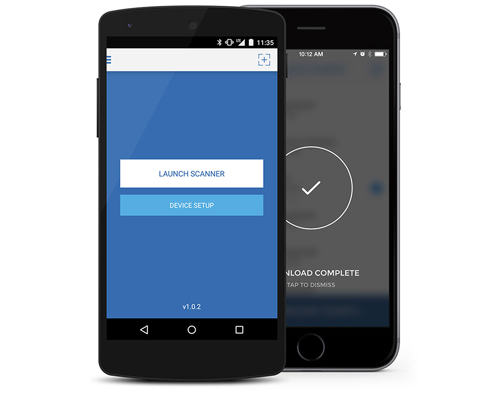 Scanfast, our free ticket scanning app, is available on iPhone and android phones for free. Simply download the app, login with your details and start scanning tickets with the camera. Ticketbooth’s scanning app is so simple it can be used by anyone, simply bring the ticket barcode into the view of the camera and have instant feedback displayed on the phone. Scanfast makes scanning events under 600 pax easy with just one or two phones, if you’re running a bigger event our linea pro scanners allow you to scan thousands of patrons in quickly and easily. Rest easy knowing your attendees will be able to get in touch with our courteous call centre staff regarding ticketing questions, purchases or further event information. Have a question regarding the platform or just need some advice? Our staff love to help event organisers utilise our platform to it’s full potential. We’ll advise you on best practices and help you put events on sale.